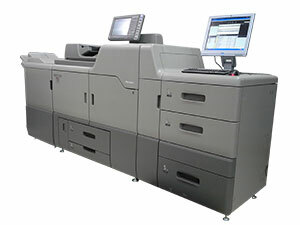 Using the latest software our prepress department can create files for printing or use customer supplied files. Using Macintosh computers, files are prepared for the printing process. A PDF proof is sent to the customer for approval. After approval of the PDF, a high quality Epson print is produced to verify color and content. 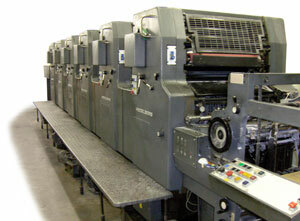 A low resolution, 2 sided proof is also made, and folded or trimmed to the final size to verify pagination and backup. After approval is received the files are sent to the platesetter. All files are backed up and archived for future reprints. Using high quality printing equipment, quality printing can be done on sheet sizes as small as 5x3.5 inches up to 28x40 inches. 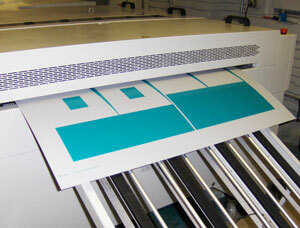 Printing up to 6 colors can be done with one pass through the press. The press operators have many years of experience in the printing industry and have the skills to produce quality printing each time. Our newest addition is a Ricoh Pro C651ex. 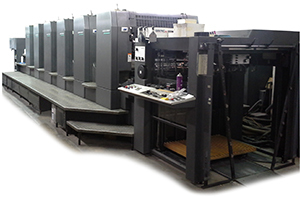 This digital press gives us the capability of printing short runs in full color at a much lower cost than a full press run would be. 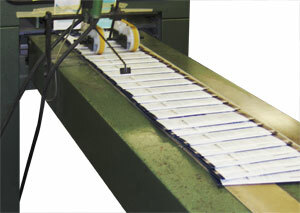 Folding and stitching can also be done inline on the Ricoh saving time and money on short run saddle stitched booklets. 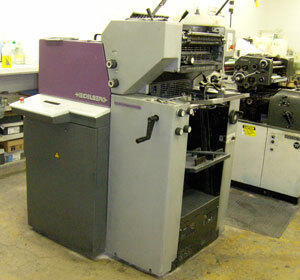 We maintain a full service bindery in-house that provides all the basic job finishing services. Skilled personnel will finish, inspect, package and ship your job. Delivery service is available or the product can be shipped by Fed Ex to any part of the country. Other bindery services can be outsourced and coordinated by our staff, providing you with a complete, one-stop project management.